BourbonBlog.com‘s Tom Fischer reports from the grand opening of the new Wild Turkey Packaging Facility in Lawrenceburg, Kentucky. Watch the video above as we speak with the Commonwealth of Kentucky Governor Steve Beshear, Wild Turkey Master Distiller Jimmy Russell, Associate Distiller Eddue Russell and Gruppo Campari CEO Bob Kunze-Concewitz about this modern facility. 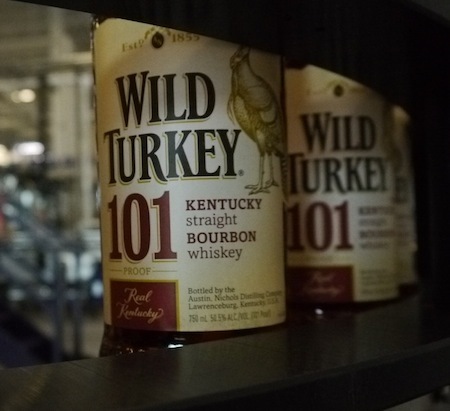 Wild Turkey Bourbon hosts this Grand Opening Ceremony for its new nearly $43 million, 145,000 square foot, Packaging Facility at the famous Wild Turkey Distillery in Lawrenceburg, Kentucky. The Packaging Facility will bring more than 60 new jobs and other economic benefits to the Commonwealth of Kentucky and serve as the bottling and packaging site for the majority of Gruppo Campari’s U.S. distilled spirits brands, including the Wild Turkey Whiskey line and SKYY Vodka. 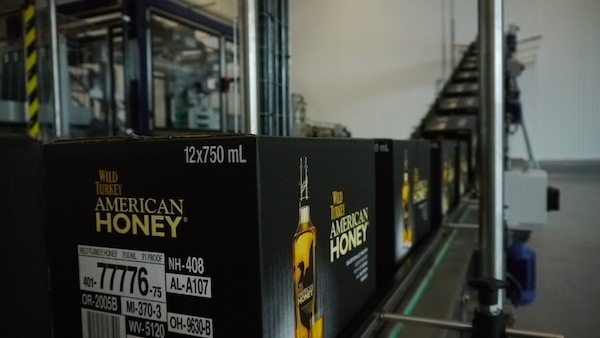 The Packaging Facility is part of a more than $100 million commitment by Gruppo Campari to expand the capabilities of the distillery to meet the growing demand for the company’s products domestically and around the world. 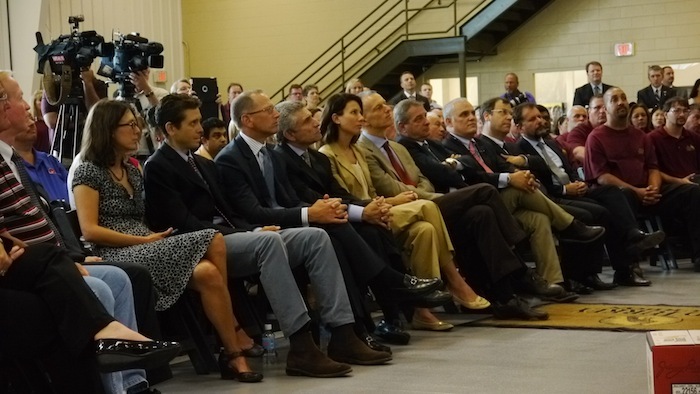 Several hundred employees, dignitaries, and friends of Wild Turkey and the Bourbon industry gathered for this grand opening. Watch video from the press conference at the grand opening below with remarks from Wild Turkey Distillery Plant Director Rick Robinson, Gruppo Campari CEO Bob Kunze-Concewitz, Kentucky Governor Steve Beshear, Lawrenceburg Major Edwinna Baker, and Wild Turkey Master Distiller Jimmy Russell.